Designed to go anywhere, the compact Ascent C1 offers all the features of Ascent X1, T1, and K1 when a keypad and call button are not needed. Control up to two access points and grant access via app, text, or voice! 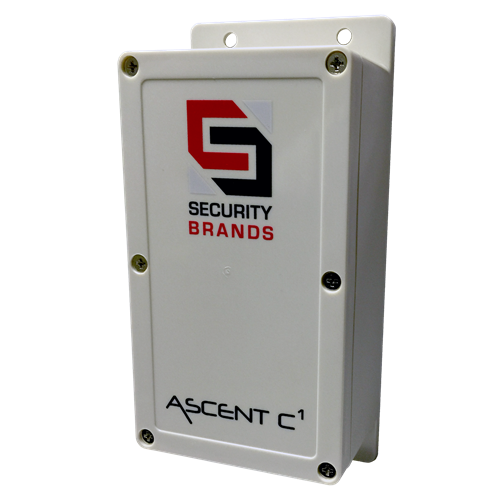 This is an AAS 25-C1 Ascent C1 Cellular Access Control System. Feel free to place your device where you need it–this little box will mount anywhere.